KONG Flyer Frisbee is a flexible frisbee made of soft rubber for extra safety and comfort. This aerodynamic frisbee is easy to throw over a long distance. The edges of the frisbee are designed to make it easy to pick up. The hard upper surface enables your dog to flip the frisbee over with its paw, guaranteeing a lot of fun for you both! The Flyer Frisbee is available in two variants: KONG Classic (red) and Extreme (black). The Flyer Extreme is made of firmer KONG rubber. 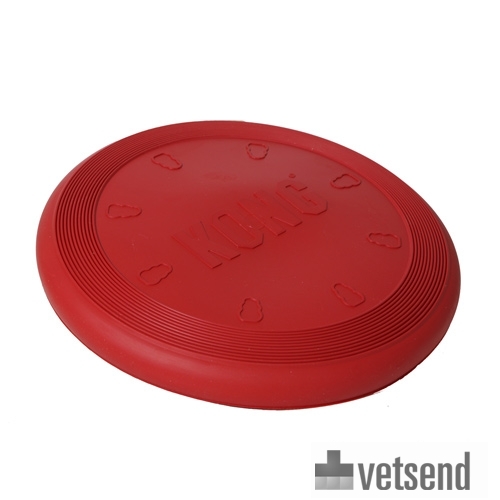 Have you used KONG Flyer Frisbee before? Let us know what you think about this product.